Car accidents are nothing new but Lyft and ride-sharing accidents, relatively speaking, are. Rider-sharing companies, drivers, and insurance carriers are still working out the logistics of liability and coverage when a passenger is injured. If you are injured in a Lyft accident in Los Angeles, the experienced professionals of the Salamati Law Firm are here to get to the bottom of the liability questions in your accident so you can receive the compensation to which you are entitled. Safety is always a relative question. If you have been drinking or are otherwise impaired, Lyft is generally going to be a safer choice than driving yourself. Ride-sharing advocates praise the Lyft app for allowing both drivers and passengers to complete transactions without cash, reducing the risk of crime that has been associated with taxis. When it comes to accidents, though, Lyft is not generally more or less safe than other options and Lyft vehicles have been involved in serious accidents in California and elsewhere. However, the role of insurance, which protects innocent passengers from financial loss, is less developed in ride-sharing situations so it is important to have an experienced legal advocate on your side after a Lyft accident. Who is liable for a Lyft passenger accident? In many ways, Lyft accidents are just like other auto accidents in California – negligent parties can be found liable for the losses their negligence causes. The difference is that if the driver of the vehicle is working for Lyft, the company may be vicariously liable for the driver’s actions. Another driver is at fault – the other driver is liable and his or her insurance should pay for your injuries; if the other driver is uninsured or underinsured, Lyft’s UM/UIM coverage will pay your damages. Am I covered by Lyft accident policy? Lyft drivers are automatically covered by Lyft’s insurance when they are driving for the company. This coverage is broader in California than in most other states but it may still leave some gaps. Periods 2 and 3 – when the driver is online and either has a ride request or a passenger on board – policy provides auto liability and uninsured/underinsured motorist coverage up to $1 million, and contingent collision and comprehensive, with a $2,500 deductible. 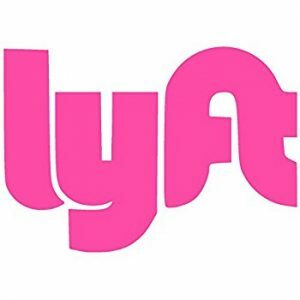 Under state law, a Lyft driver’s personal auto policy will not cover a ride-sharing accident unless the driver purchased separate ride-sharing coverage. Injured passengers often wonder how to sue Lyft but Lyft is not usually the defendant in a ride-sharing accident lawsuit. Even when another party like an insurance company or an employer may ultimately pay the award, a Lyft accident lawsuit is typically filed against the at-fault driver. In rare circumstances it may include the company but a California ride-share accident lawyer can help you determine when that is necessary. In a Lyft accident in California, the negligent party is liable for the economic and non-economic losses sustained by the injured party. Non-economic losses are often the most significant part of a Lyft lawsuit settlement but by their nature their calculation is less straightforward. A Lyft accident lawyer at the Salamati Law Firm can help you determine how significant your non-economic losses are and convey this to the necessary insurance adjusters or a jury. In general, the more parties that are involved in an accident, the more complex the issue of liability becomes. Lyft accidents include the added confusion of drivers and the ride-sharing companies they drive for, as well as both parties’ insurance companies. It is no surprise that the typical Lyft passenger is overwhelmed by the task of sorting through these issues. Similar issues exist for those injured in Uber accidents. Getting to the bottom of a complex liability question is nothing new for the Salamati Law Firm. Car accident attorney Sean Salamati understands the physical and financial effects that a serious accident has on those involved and their families; he fights to recover those damages that can crush an individual or his or her family, including ongoing medical and rehabilitation costs and lost wages. Call the Salamati Law Firm in Los Angeles today at 1-888-259-4060 to schedule a free confidential consultation.